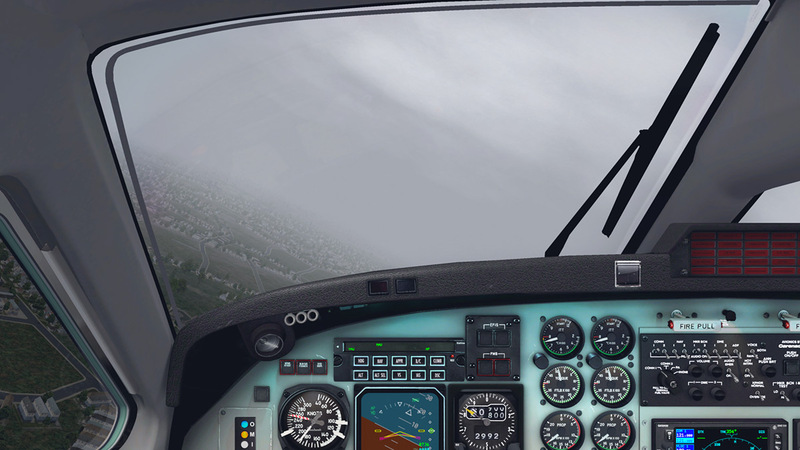 Simulation of weather in a simulator is one of the really difficult tasks of realism. In all its forms weather is complex and very diverse and changes forms constantly to the requirements of our planet's systems. 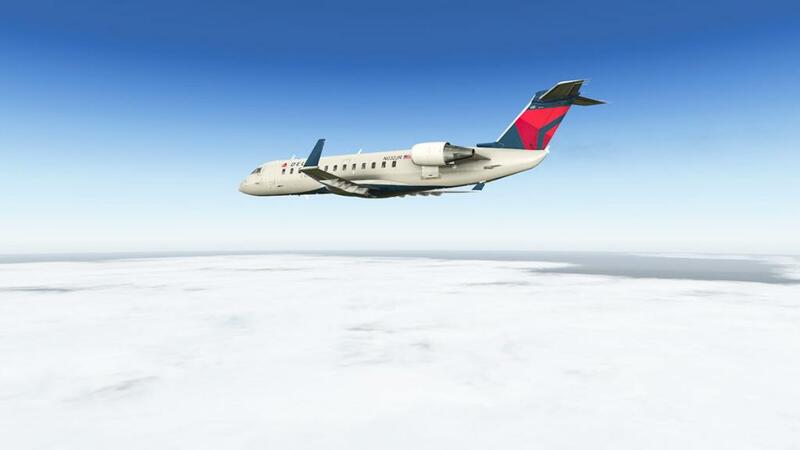 Real life commercial flying is always looking for more and more information and data on what and how to predict on what the weather system is going to do next, and we want to simulate that on a computer, when they can't even do that in the real world. So mega supercomputers are mostly created for one job, in creating the world's weather system and maybe throw in a few military applications on the side to pay for all that processing power, but simulation users want the same power on their desktop with as close to no framerate hit in the bargain, well you might have just got your dream. Every one complains about X-Plane's default weather system. 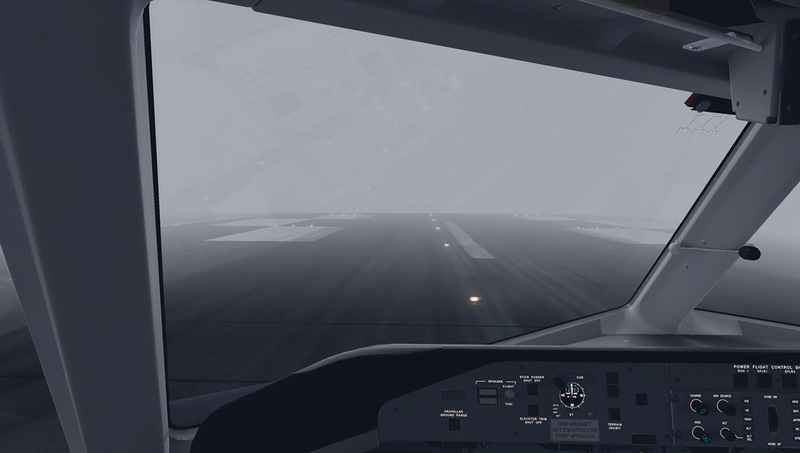 It is slow, difficult, a soaking framerate sponge of processing power and in a way doesn't really reflect the changing weather patterns that we face flying everyday, but in reality Laminar Research would need a whole complete separate department to tackle such a major feature, as with most areas in X-Plane's diverse eco system, the weather is just one part of it and only has the same rotating attention of all the other items that need addressing to make up the whole. 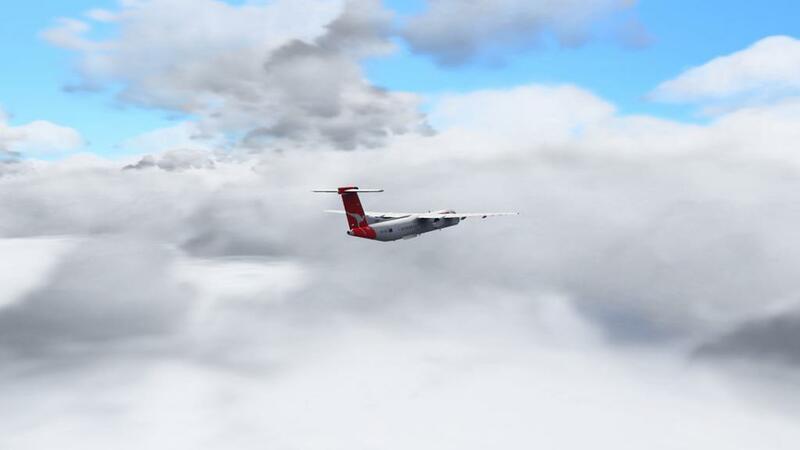 Even in the add-on third party world the releases for the weather effects could be counted on one hand, and most usually just messed with X-Plane's resources "skycolors" but they just replaced the same files and didn't tackle the basic weather engine to make a more significant change and actually something better. xEnviro - Ultimate Environment Engine. 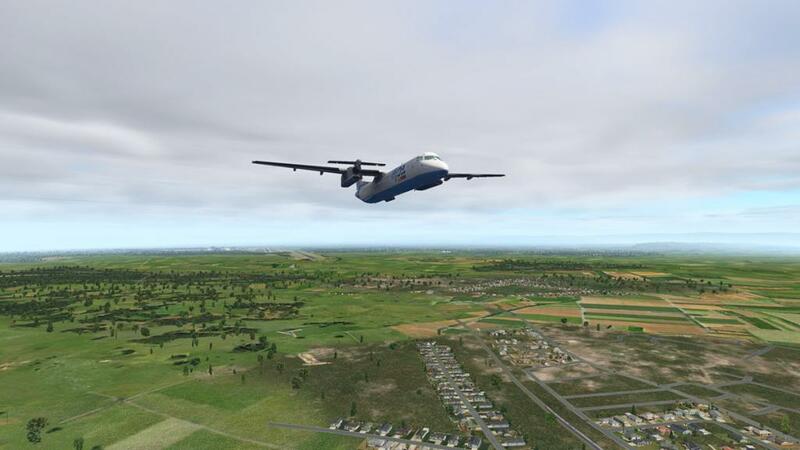 It would have been very easy to have just written a quick review on my first impressions of xEnviro and most of the review would have been an average assessment of this new development and take in and agree with most of the other first sighting users that have been critical of the product. 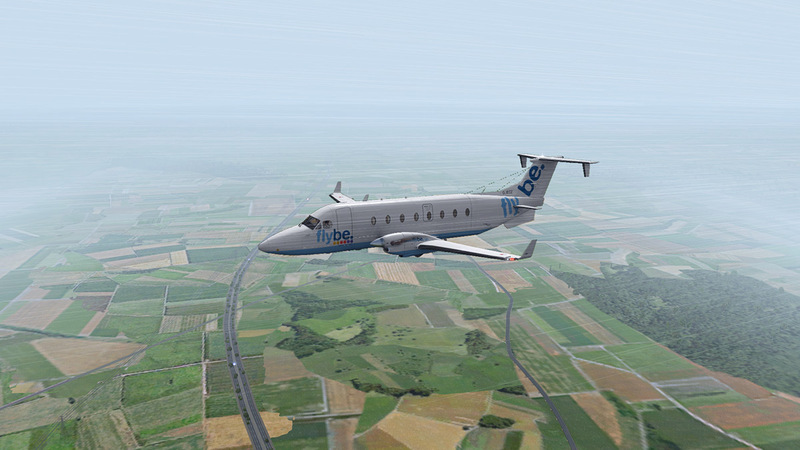 But I was aware that from my first flight within the xEnviro environment that this was a more significant product to the simulator than what you see on a first glance, and so this review is week late after forming a deeper and more rounded and tested opinion by using the plugin quite significantly over the week. But make no doubts that there are areas that still need development, and some things are a bit glaring... and then there is that price? US$70 for a plugin is expensive, and even I gulped at the price. But like everything else to be considered is that if you want the best it doesn't come cheap, but there has been a large team and years of development to bring this plugin to your desktop. 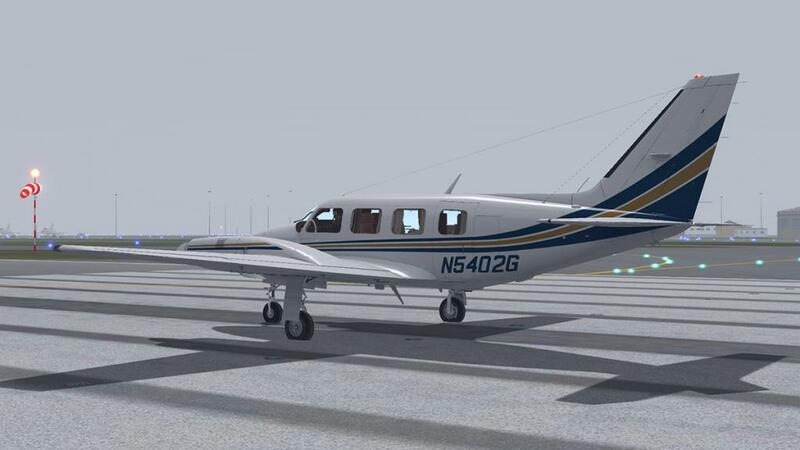 It has had as much development as some of the biggest and most complex aircraft in X-Plane, and we would think nothing of acquiring them for the same cost. Let us look at the most interesting things about this plugin first that must be noted. 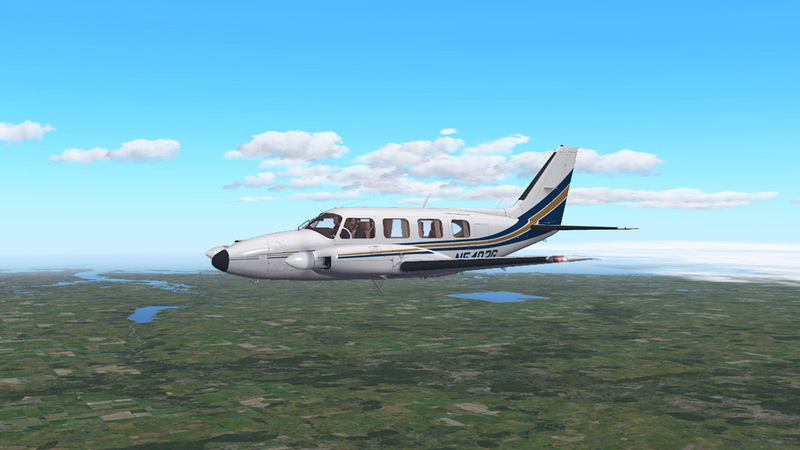 First it is completely separated from X-Plane. So there is no connection or changing of files with the X-Plane simulator. You want xEnviro off, you just turn it off and it is gone, press it on again and there it is (it does take a minute or so to rebuild), secondly it works not only in X-Plane10, but it is ready for X-Plane11 as well and you can insert the plugin in both applications (registration is required) and use both as you wish. 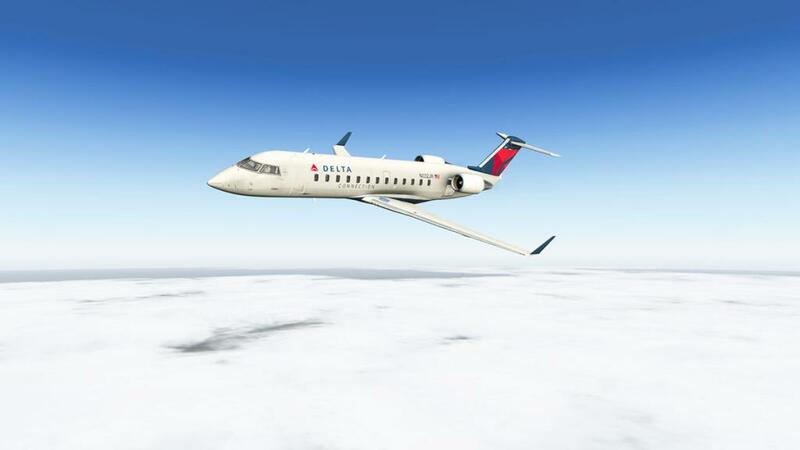 This disconnection from the X-Plane application also means it is highly efficient, gone too is the heavy processing "cloud puffs" and hello to horizon to horizon clouds. Don't get me wrong that you get no processing loss at all because you do, but it is highly efficient. 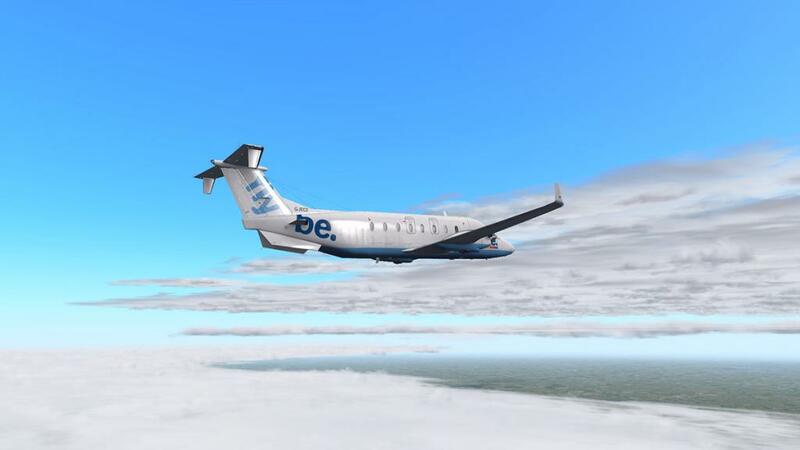 This efficiency has also created criticism because it is created by using 2d objects and not the more modern 3d objects like X-Plane's "cloud puffs" do, and in some moments they do show their heritage as some clouds do look slightly flat or with an odd movement across the windscreen, but the total visual effect is astounding and very realistic, if the choice was with either the heavy 3d objects or the efficient 2d version you have here, then it is no competition in which version I would choose to use. At this point you can only use the xEnviron in "real time". 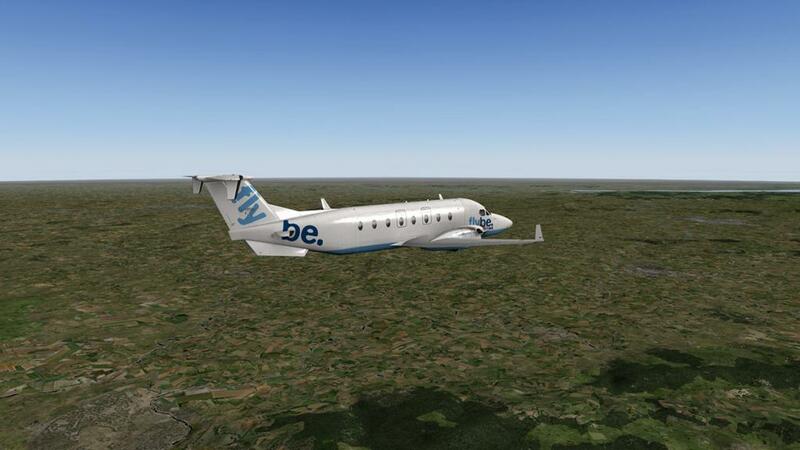 When running the plugin download's the latest METAR (Aviation Routine Weather Reports) high wind data and the latest reports from aviation weather data centres to create a complete map of your current position. Now that means you only get the current "live" weather. 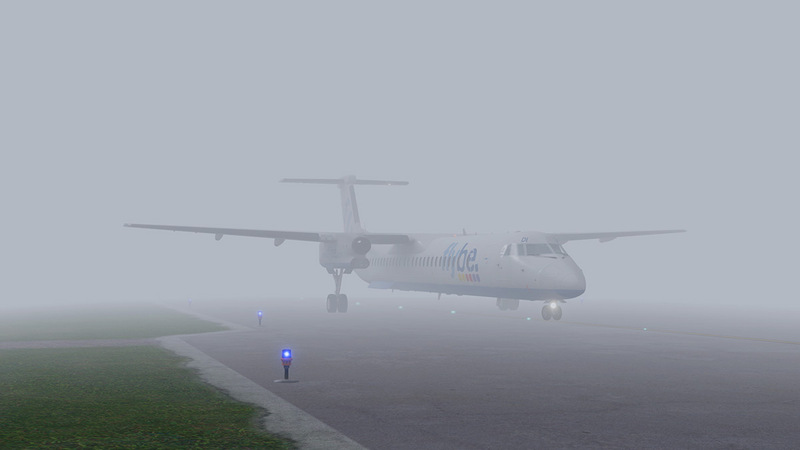 If you like me live in Australia, if I fly in the UK, then I get the winter weather UK time which means a night flight here will give me early morning UK mist and heavy cloud and not the hot and mid-summer Australian conditions. Even in a replay you don't get the weather replayed but the current "live" weather under the replay, so that means you can't redo that heavy storm landing that you did last night. 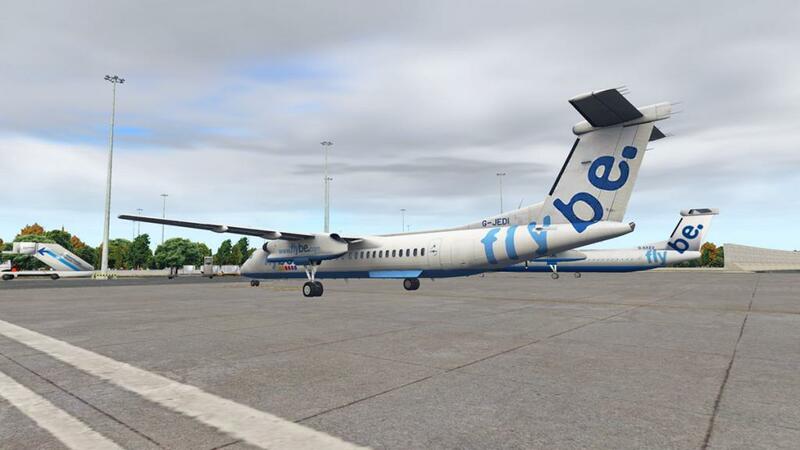 It also means that you can't set up a weather event or save your current weather that you liked so much, but xEnviro have noted that a save or memory (noted as "History") of your current weather download will come in a future update. So live it is and the data is very good as we shall see. 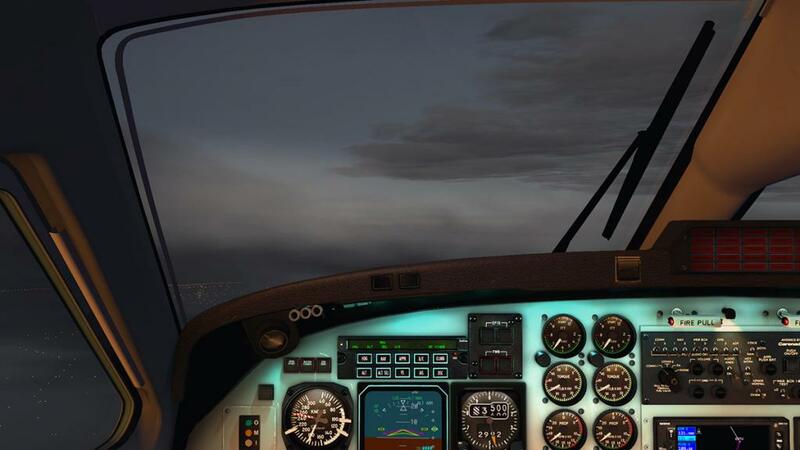 You do soon get used to this and it does make for some interesting flying, and take note that you are at the complete mercy of the current conditions and are not being able to cheat and change the conditions to make it easier for you. 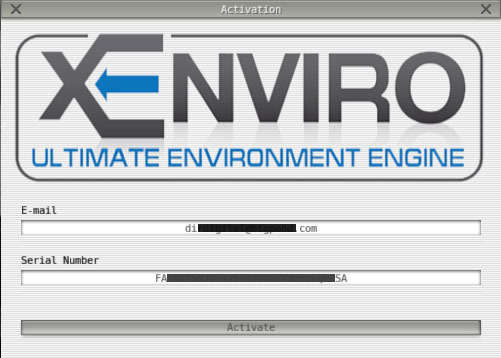 Currently the plugin is Windows only (Mac is coming soon), so there is Windows a "Enviro.exe" to start up an installation application. Then you are asked not to be naughty and accept the license conditions. 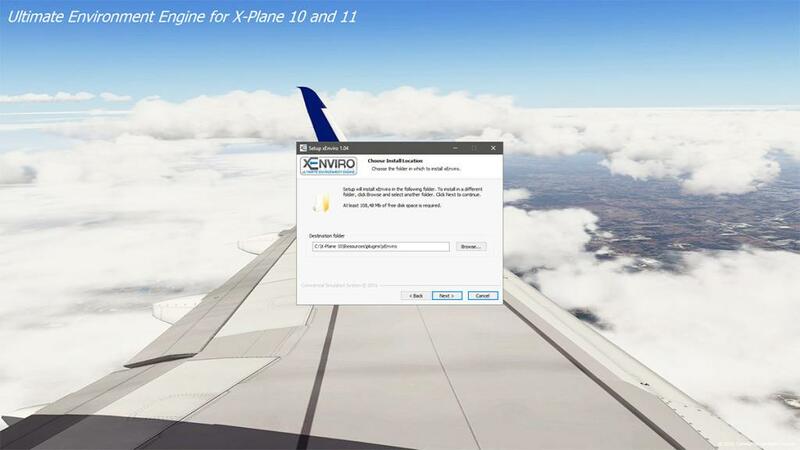 Then the application checks to see if your computer can install the plugin, it is noted that you are to be connected to the internet at all times (xEnviro won't work or be able to download data if you are not). 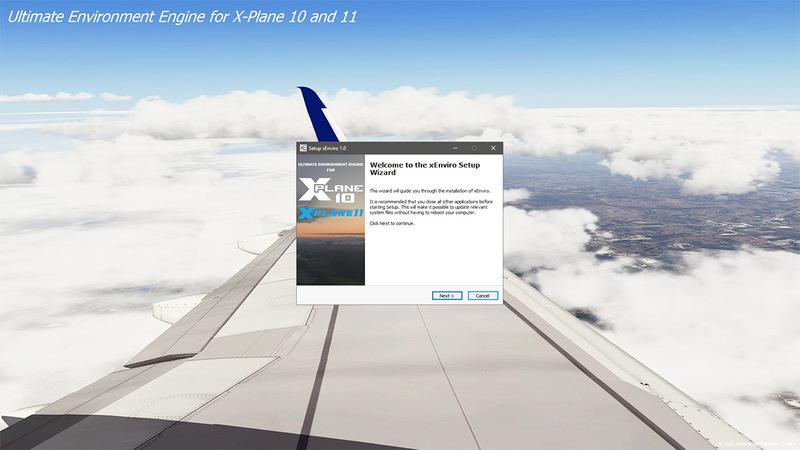 And then set the address to your "X-Plane/Resources/Plugins folder" for installation, I found it easier to install on one version (X-Plane10) and then copy and paste to the other (X-Plane11). 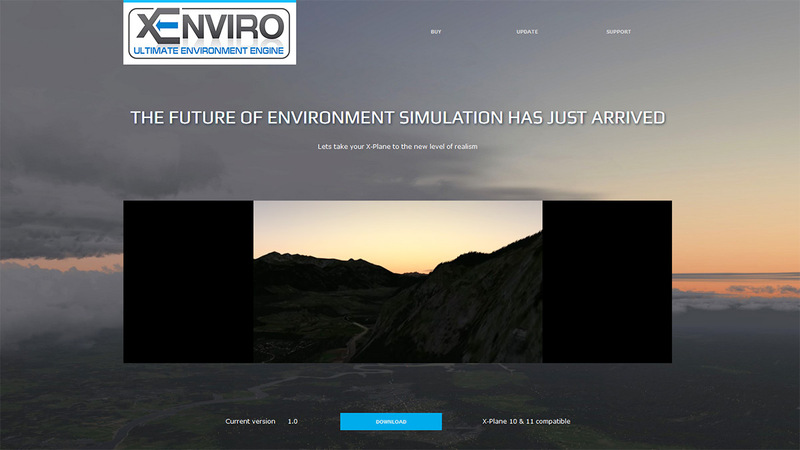 Then It notes the address and you start the install, when done it notes the "installation is complete" and the tickboxes choices to view "readme" and visit xEnviro's site... If ticked you are then sent to the site which is handy to note updates and changes to the plugin. Updates are also downloaded from here, so it is worth bookmarking for future reference. On starting X-Plane the "xEnviro" plugin is listed in the X-Plane plugin menu bar. 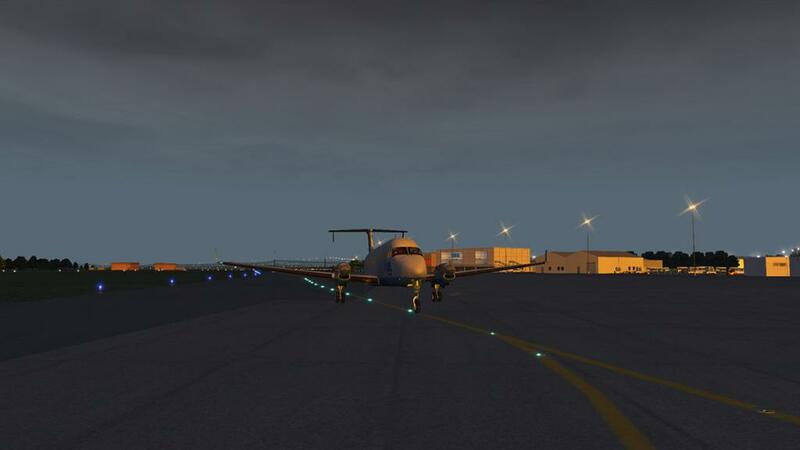 But on the initial startup you will be asked to register your email and serial number (for any or both X-Plane applications that you have installed the plugin)... then activate the plugin. Starts up the plugin by clearing off the X-Plane weather and resetting the simulator ready to receive the xEnviro data. It is important to note that it take a little time for the plugin to reach it's full settings or coverage, sometimes up to a minute, it is not noted if the CAVOK button is a reset? But I would assume it is. 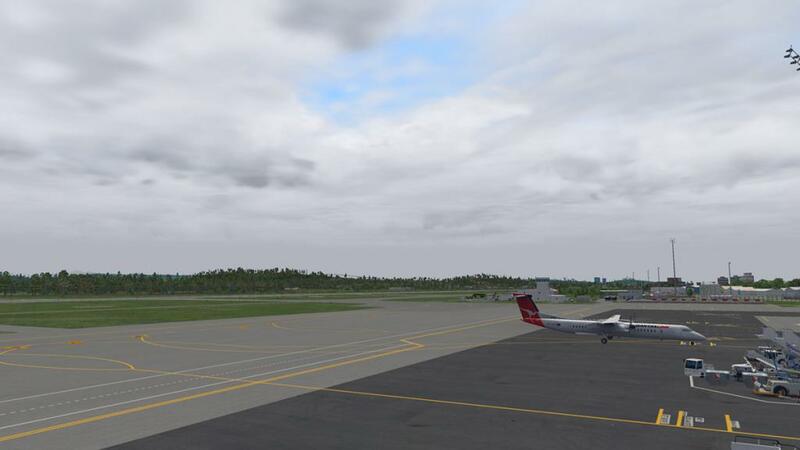 In most all settings here it is mostly to cover the look and special effects of xEnviro, than more of adjusting it. 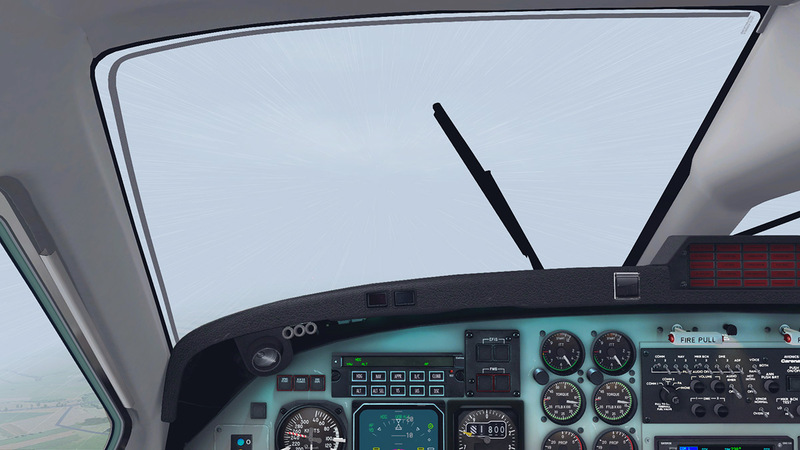 You can set percentages of the Minimum RVR (Runway Visiblity Range), and Ceiling and Turbulance on the Weather settings. and you have choice to use the "Easy" or "Real" modes. Weather update slider can control your downloads from 5min to 60min (1 hour), I found about 15min data downloads to be about right with the better expected 5min too fast in the changes.. Cloud percentage settings are the same in adjusting Minimum and Maximum visible ranges, Detailed range, Cloud reflection Range, Reflection Range and Shadow range. Lower is Cloud brightness (darker the better) and crossfade speed and again on the power of your computer you can select "light" - "Optimum" - "Maximum" pre-selected settings. Atmosphere Settings setting cover mostly special effects like atmosphere, rain, snow, lightning, 3d lighting/clouds, light scattering and post processing. I found that post processing darkened the weather (clouds) too much so usually kept this switched off. 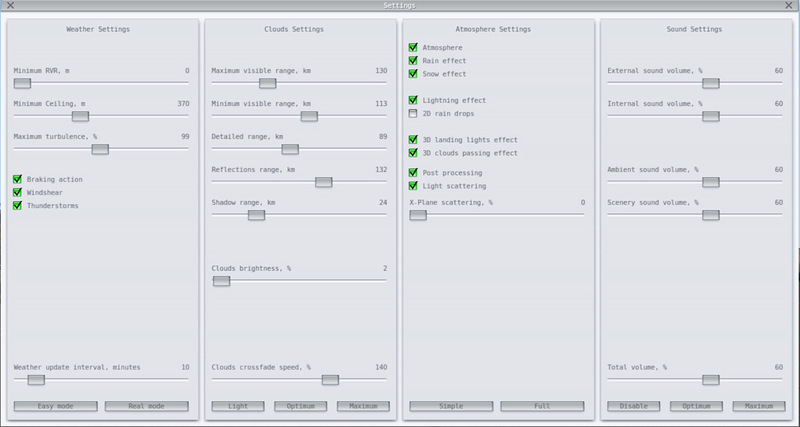 Again you have pre-selected settings of "Simple" or "Full", mostly you keep most of all these special effects switched on. 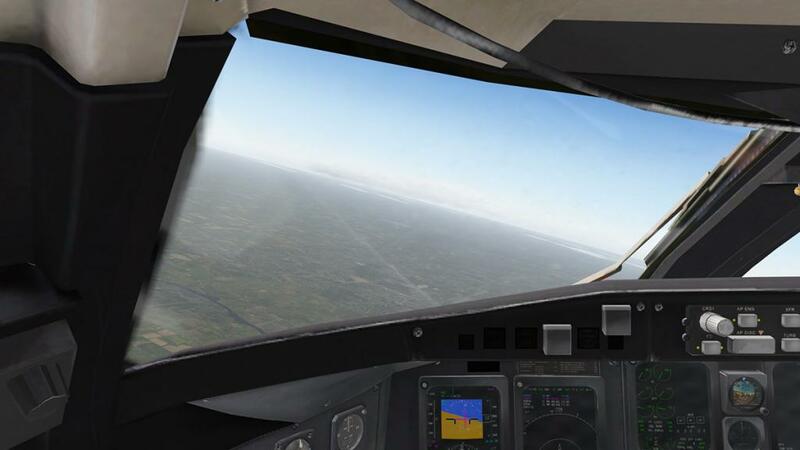 Sounds can be adjusted for noise in internal and external sounds for the aircraft, and special effect sounds like ambient and scenery sounds can also be adjusted with a total volume slider to cover all sounds at the bottom. I rarely touched sounds for adjustment and they are very good and the pre-selected settings are "Disable" - "Optimum" - "Maximum"
Obviously you don't get the complete control that would really like, but as noted more settings will come to save and use "Historical Weather" data. I would like the adjustments to adjust wind and wind direction or at least turn them off, as some times I require that for aircraft testing or reviews. Is the plugin's current version number and your registration details. How to best approach xEnviro was interesting to get the best results from the plugin. 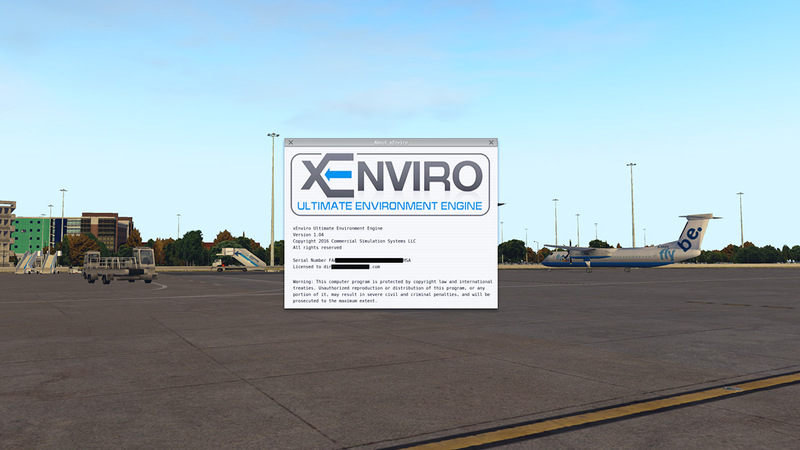 I couldn't set up a certain scenerio or environment to note differences or changes because xEnviro only runs in "real" time. 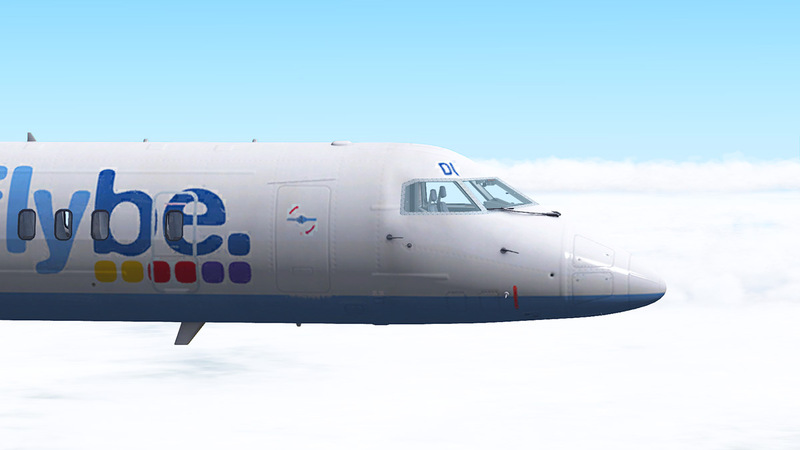 So what we have here is one UK route Manchester EGCC to Exeter EGTE over five days and flown at various time and conditions. 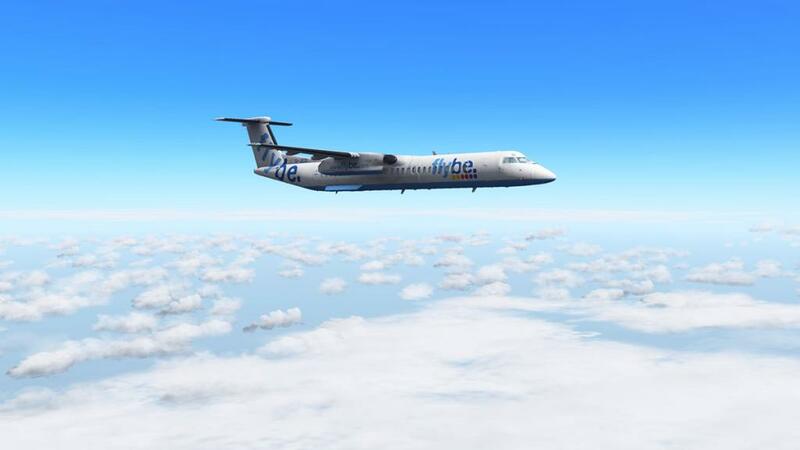 It is Flybe's most busiest route (out of Exeter). 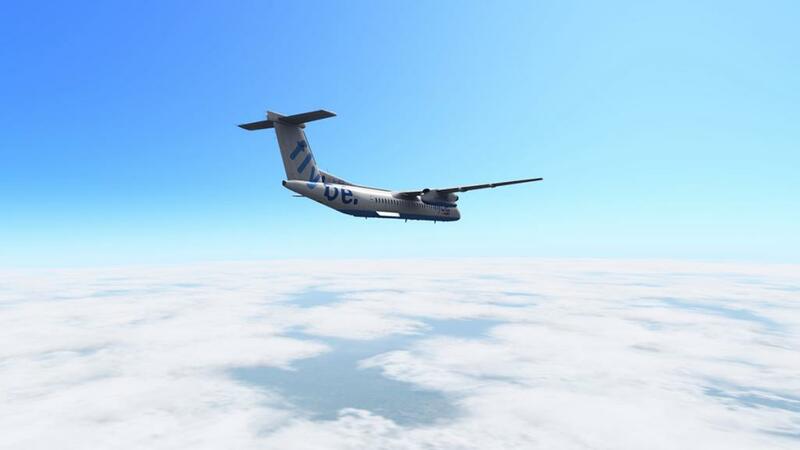 I picked the UK, because first it is familiar and two the weather at this time of the year is very changable. There are other areas noted like Florida and Australia, but most images here are on that route. 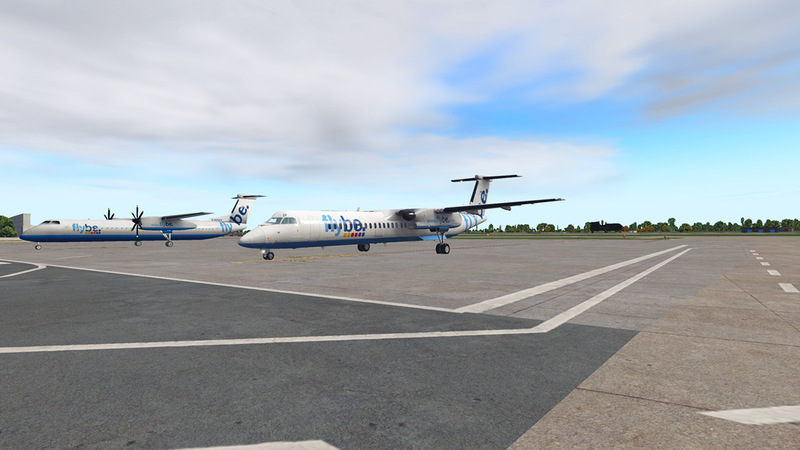 Equipment used is FJS Dash8Q400 and Carenado's B1900D. 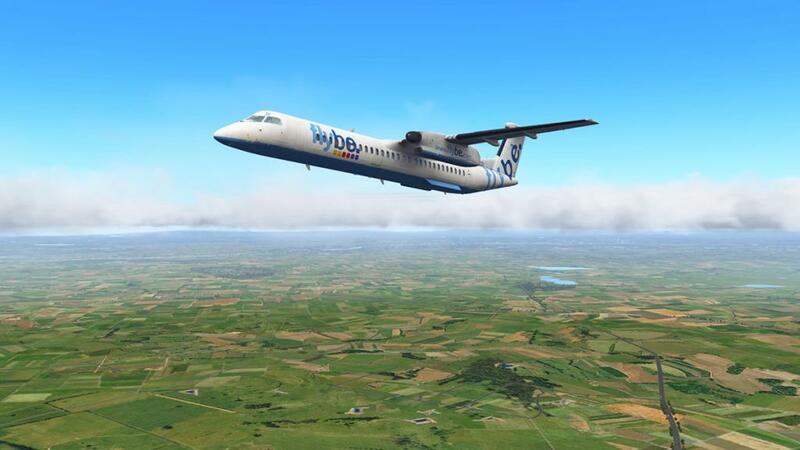 Another note is that this review was done mostly in v10.50 but there are a few images of note in X-Plane11, but at this point XP11 is just too much in transition. 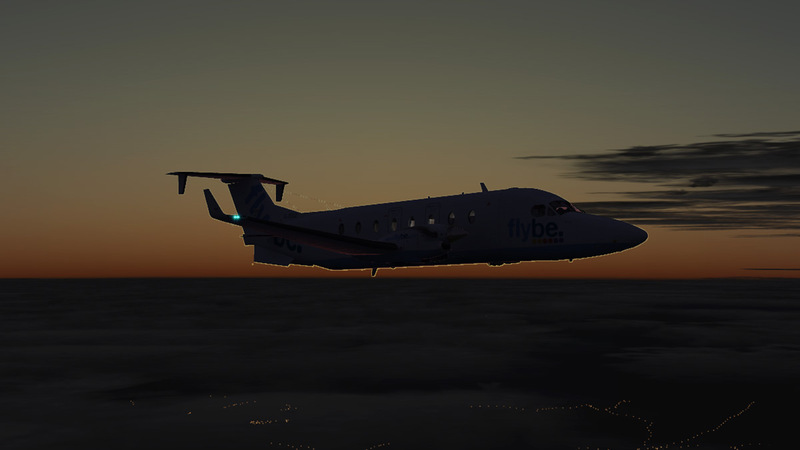 This flight was early morning from MAN to EXE. The first thing that strikes you is that the clouds don't look 2d, more 3d and the sheer depth of the formations, breaks gave clear patches of blue as were required, but transparency is very good as we shall see later. 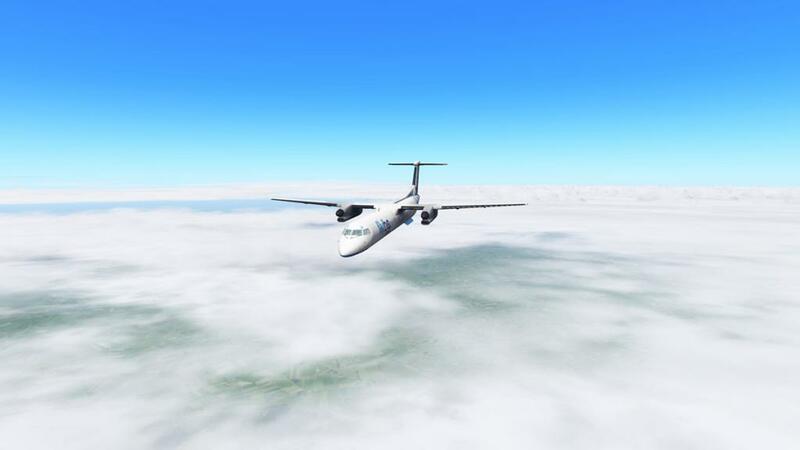 Cloud altitude was low, around 2000-300ft ADSL and adjusting the cloud slider's brightness gave them more depth. 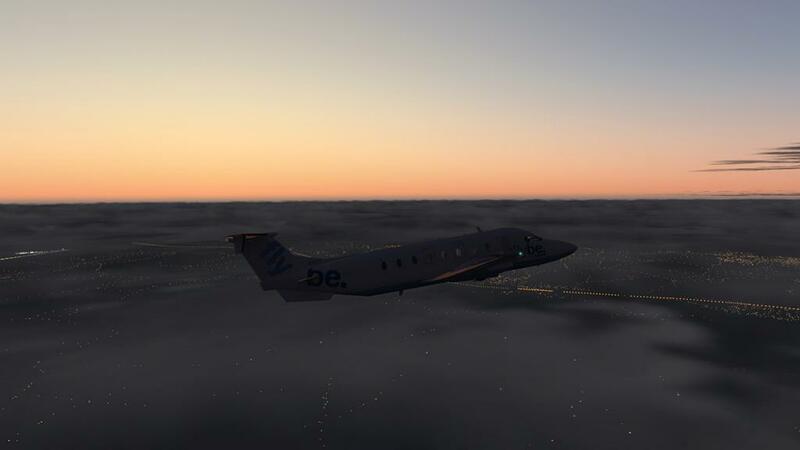 But the biggest effect was the early mist around the hills in the distance from EGCC, it was extremely good and very realistic, in some ways xEnviro turns X-Plane10 into X-Plane11 with a great visual haze. 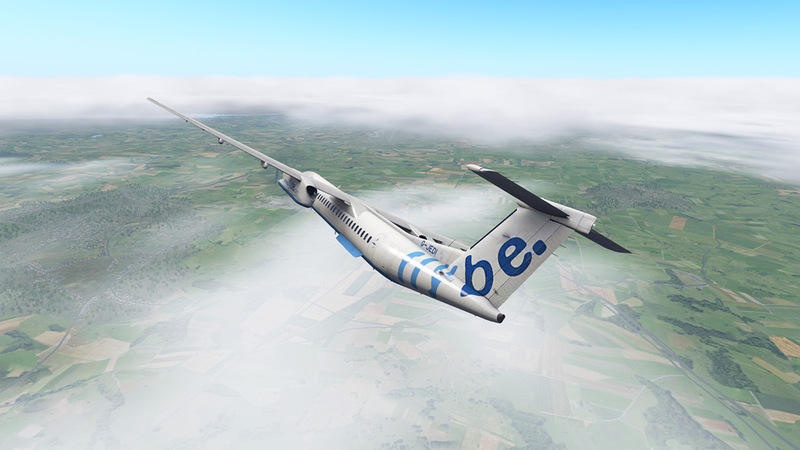 On this flight the low cloud was also thin so you passed through it quite quickly into the bright Azore blue above. This started my first inner conflict. Is it too blue? Personally I think it is, a few notches lower in brightness would bring in a more subtle feel as I am at only 10,000ft here and not 40,000ft, but you do get used to it. 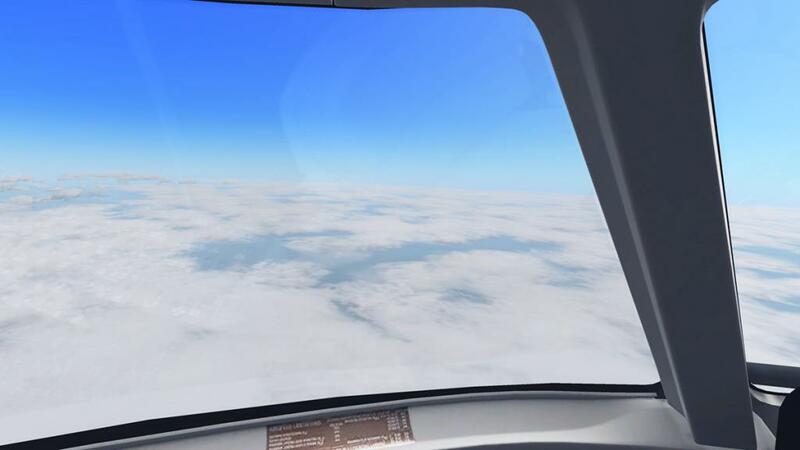 One area I don't like are the blue water reflections below, they would never be bright blue at any angle and so you get all these bright blue patches (even under cloud?) that dot the landscape, I never got used to that. 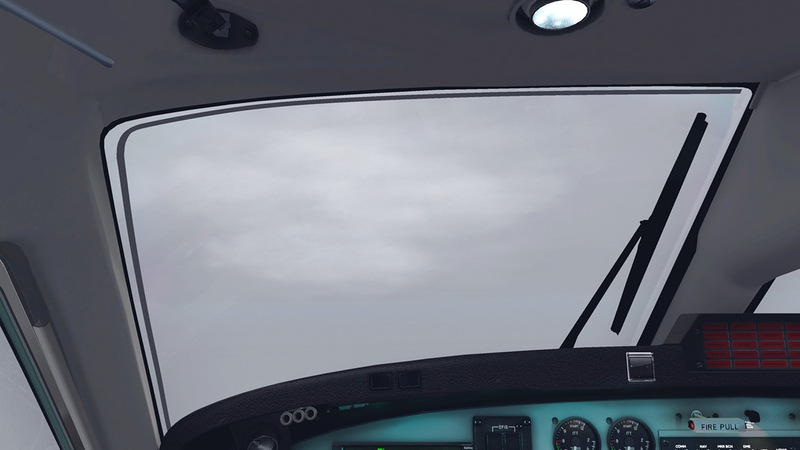 During the climb the X-Plane ground scenery became hazy, realistic... and any cloud formations traveled across your windscreen, but in the early version you saw the 2d effect quite badly as the line went across the windscreen, the later updated version (v1.04) finds this addressed, but it does still happen in certain circumstances and my guess it will be hard to totally eliminate. Viewed internally and the view is breathtaking, cloud layers are spread out all around you with your framerate rock solid. 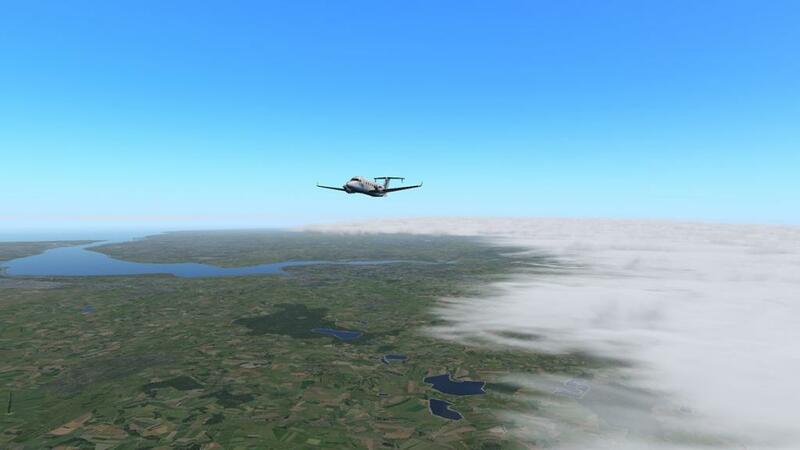 Make no mistake there is a framerate penalty, but you laugh at the shear ease these formations move and create themselves around you with absolutely no fear the darker clouds are going to scrub away your fun as the framerate plunges to double digits or single digits in as many circumstances with X-Plane's default weather and heavier puffs. There are some clouds that appear and disappear (pop) right in front of you, and yes it is noticeable sometimes, but you can adjust the timing of the new data and the crossfade speed can be adjusted, but I think that more refinement here is still to come. One aspect that is an issue is that reflection on aircraft that have tinted windows (mostly all) don't allow for complete transparency of the background through them. The early release version was quite bad (above right) but it has been addressed and it is not as bad as it was, but in certain circumstances it still does show (above left). 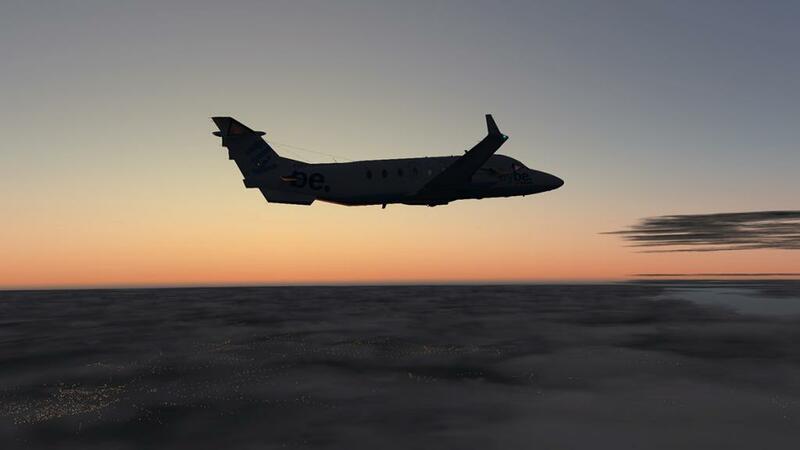 Another aspect of xEnviro that is important is that it will look good only with HDR (High-Dynamic-Range imaging) switched on, and that is not a factor in X-Plane11 as it is now tuned only in that way. 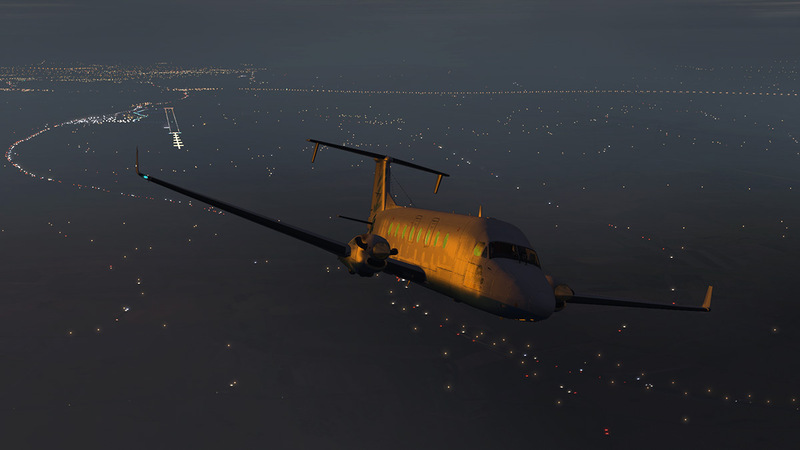 But with HDR off in X-Plane10 you get a very bad case of the jaggies or very poor anti-aliasing. It is even worse at night (right), HDR has to set quite high as well, but remember you do have more framerate headroom to play with. The suns brightness aspect angle is very good, there are no bands on the screen and the gradients between the bright and darker blues were very good. On the descent notice you how really good the transparency is as you go lower and the air gets less dense below you and the ground, the formation of the clouds in their gaps show up really well with excellent transparency and ultra realism. Most of the coverage here was only cirrus clouds, but it was the most perfect conditions replicated. It is at one moment the light clouds are light and wispy around you and then you are under the blanket, again the hills on the horizon are natural and perfect. 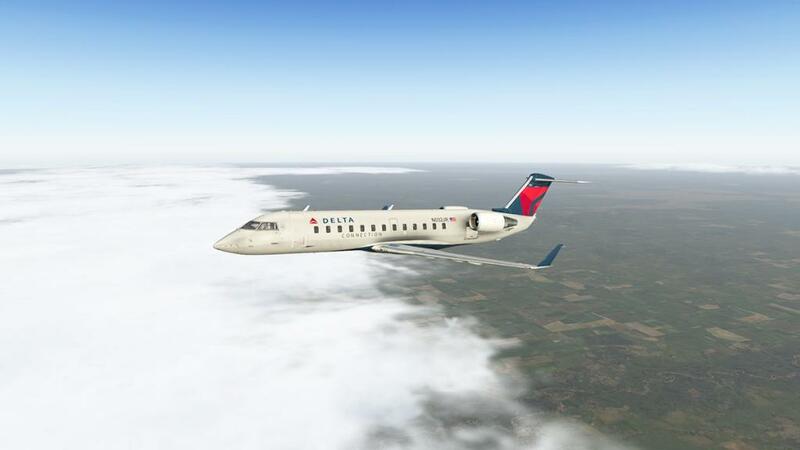 There has been a few notes that the early versions is that mist and low clouds don't fit in well around mountains or mostly in the valleys and the cloud shapes are hard and defined. It is a fair comment and notes of this is that it will be addressed and fixed soon. On the ground the sky looked realistic and natural, but once the daylight started to fade the sky became dramatic and the real "wow" factor crept in. ... open these images up to see the quality of the formations and the way the light reflects, note the excellent mist on the ground as well, it is just well... stunning. Not one to miss an opportunity, I wanted to see those clouds airborne and I wasn't disappointed. 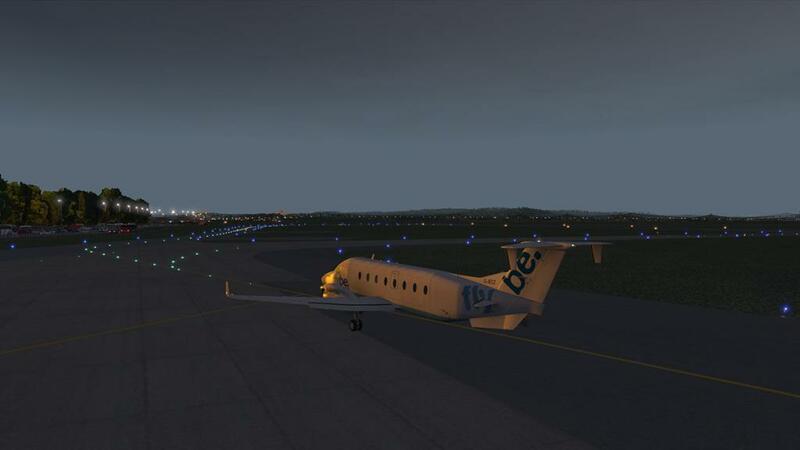 I set up the B1900D and headed straight back to MAN. 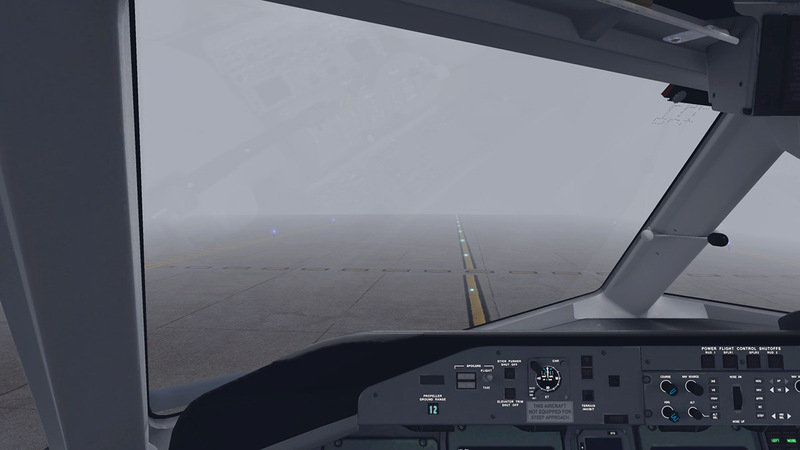 Climbing out of EGTE and the low mist showed the cold 2 degrees on the ground (this is December), up higher and the formations were amazing. Above the mist the twilight cloud formations were harder, fuller and you could see all the cloud detail and thickness. 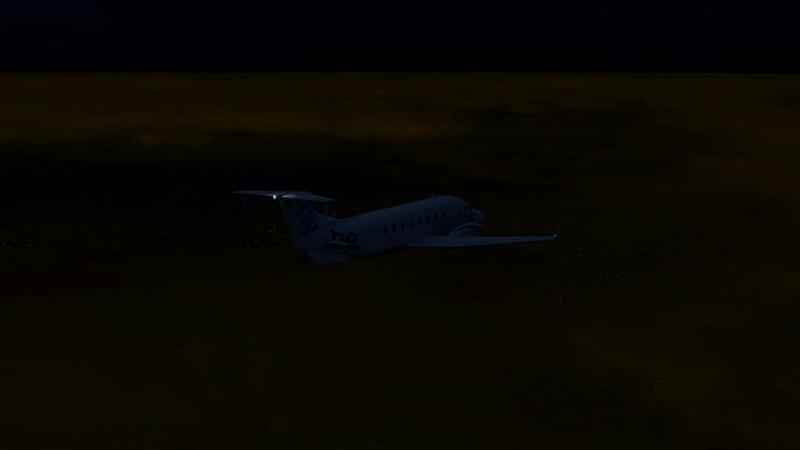 There is nice light reflection off the clouds in the dark, sometimes milky with a full moon and sometimes darker, but it is very good as you skim along the clouds. 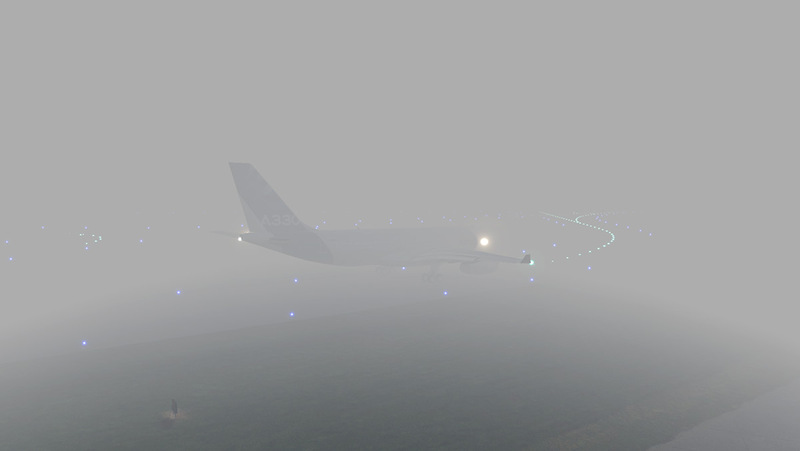 Ground lighting (with mist) is great but we are pushing the limits here as there are light bands and sometimes even the cloud construction (2d objects) do show. Strobe in cloud is excellent, you lose that hard flash, and the soft strobes reflect well off the clouds around you (if you are in cloud) and it is very realistic. 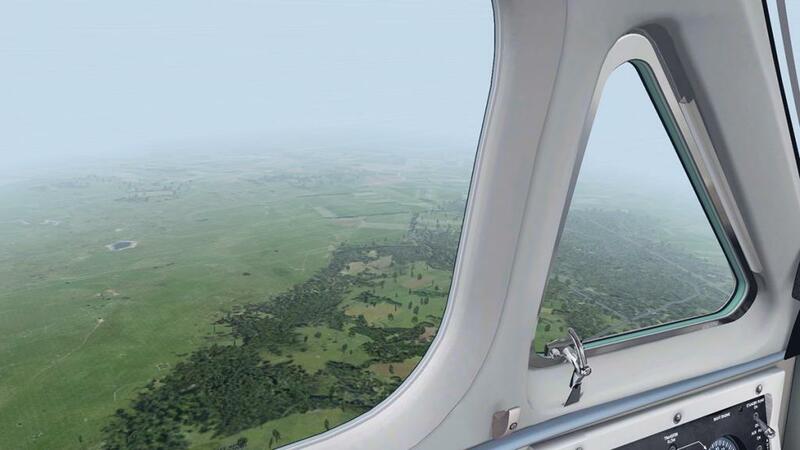 So how realistic is xEnviro? 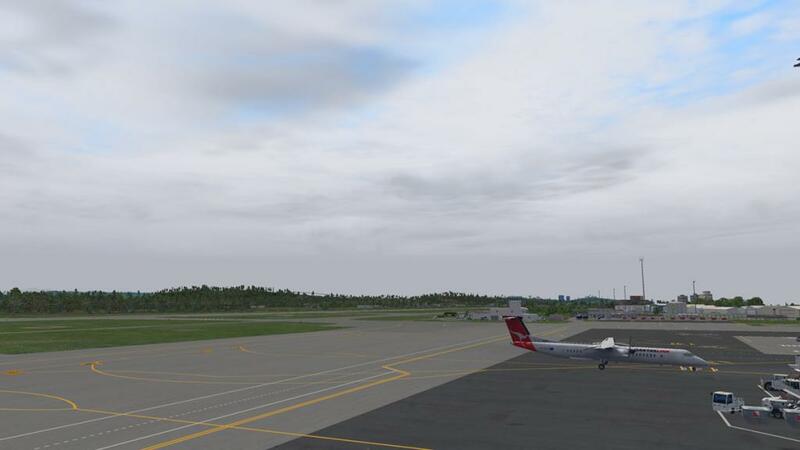 Well below is the default X-Plane weather (left) and then xEnviro switched on (right). 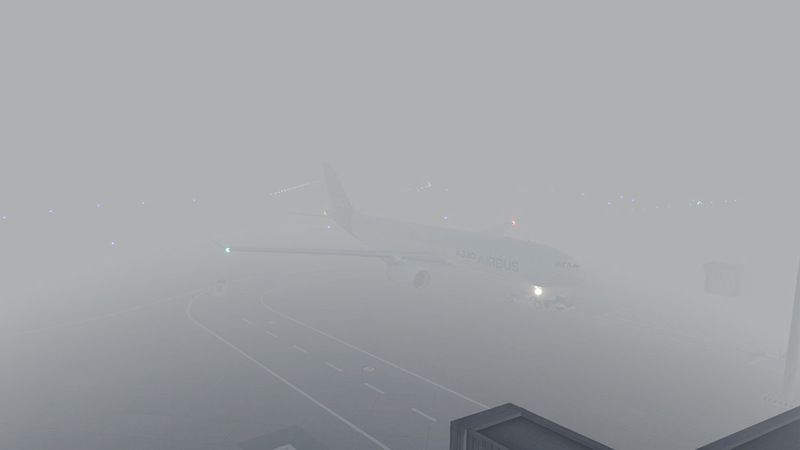 The heavier mist in X-Plane11 does have an impact, ground is softer, but the plugin takes away a lot of the worse mist effect as well and makes it (slightly) more visible. The conditions here are very hot 35º so you get more haze than you would normally get, but look at the cloud edge as the wind creates a boundary. This boundary effect is noticeable here as well (in X-Plane10) as you can see the sea air conditions are affecting the inland atmosphere. 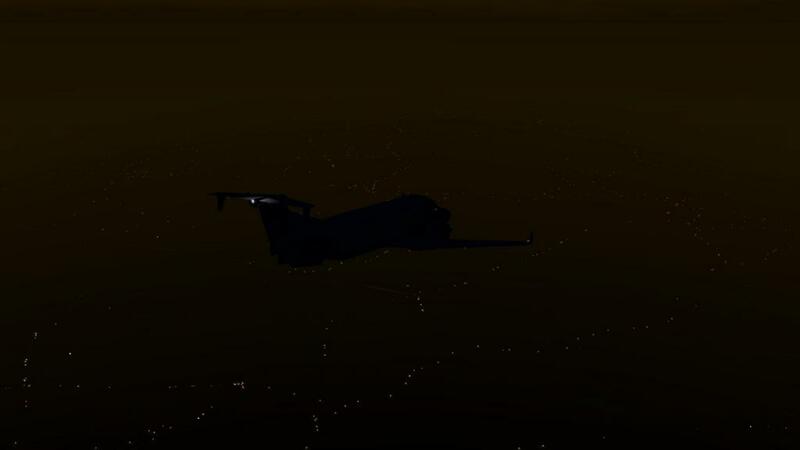 X-Plane11's extra mist boundary created a more fuller fill, and it looked simply amazing. You needed a white cane to find the runway, but it was as authentic as you can get. But you notice that X-Plane10 is not as good in the visibility, there is a distinctive line were the fog hits the ground that is more blurred in XP11 creating that more enveloping feel. 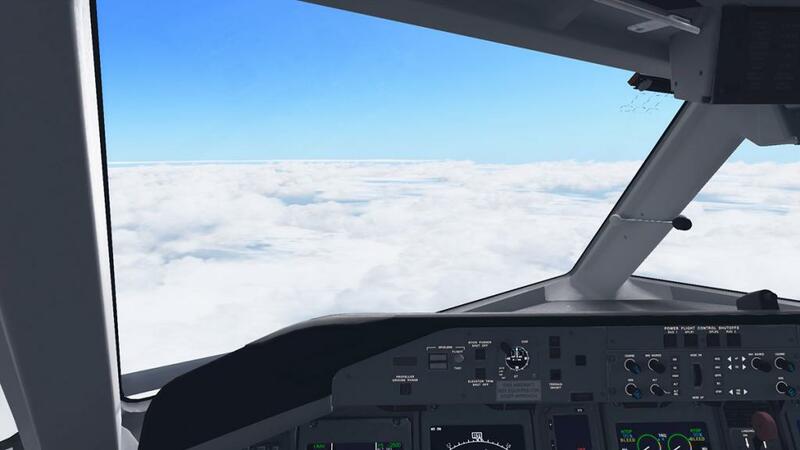 How you push through cloud in a realistic way is one of the most important aspects of flight simulation. It is really impossible to imagine the complexity of mist and cloud enacting themselves around the aircraft, but this is the best I have seen yet. Laminar Research wanted their "little puffs" to create such a environment, it did work but clumsily. But here it works really well. 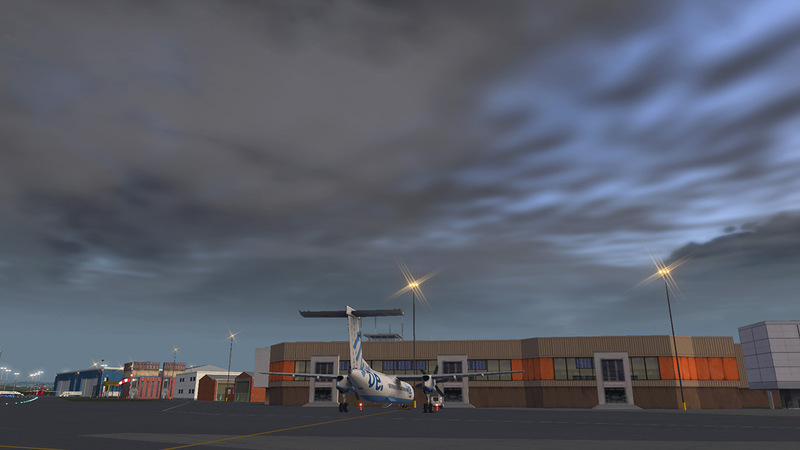 There are a few flickers, and too many quick direction changes, but overall the effect is excellent in creating enveloping cloud around you, and after awhile you are just working on flying the aircraft in the environment more than being distracted by what is going on around you, in other words it is good as it feels real. 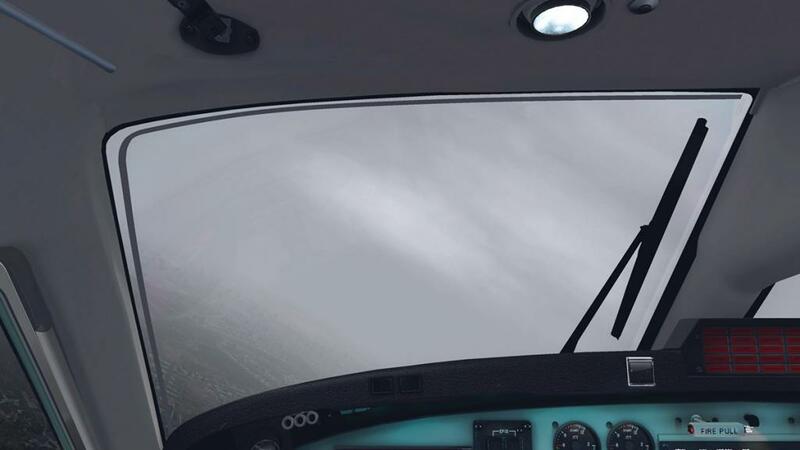 It is hard to simulate rain, because in reality it a reflective element in that you would only see it if you shone a light on it, like at night. 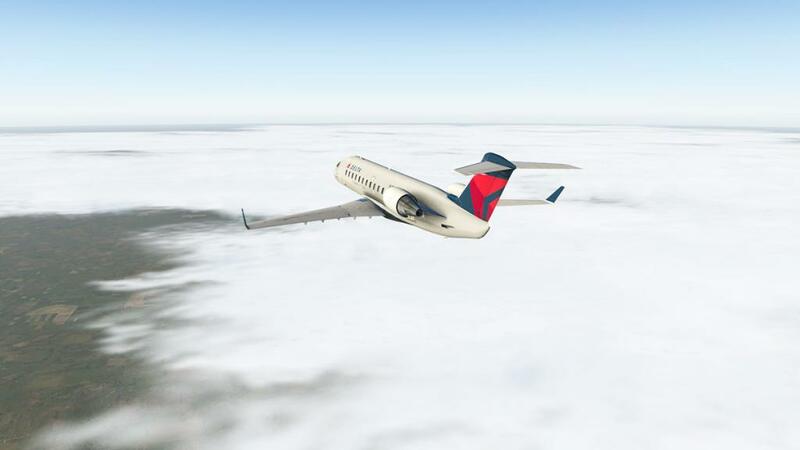 Snow is easier as it has mass, and but both are simulated here, but the sounds are more realistic than the visual ideas. 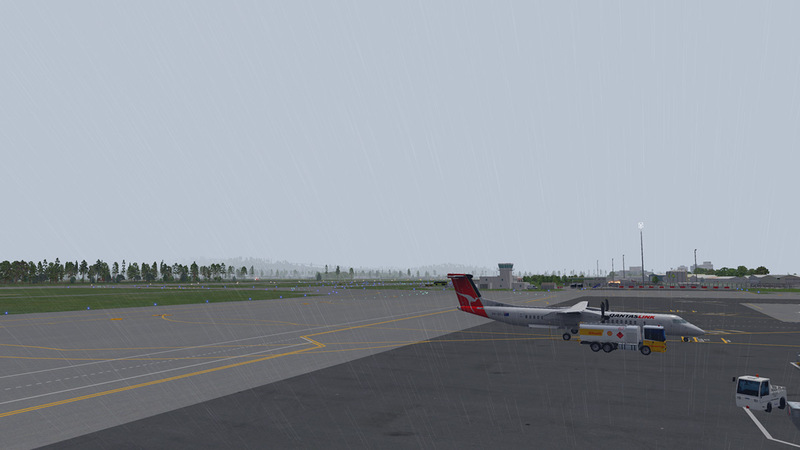 It works better of cause if the aircraft has that built in rain drop effect. Here you can choose between both 2d and 3d rain and snow, but the differences are in the environmental conditions around you... 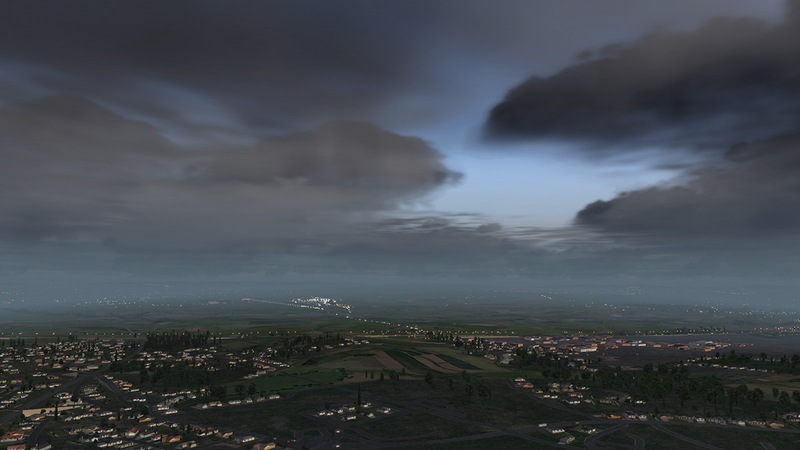 Lightning is also an effects feature that gives you lighting strikes around you and in the area on the ground. So how accurate is the downloaded data? You can of course check the current METAR data for your area, but that is only one part of the data dump. 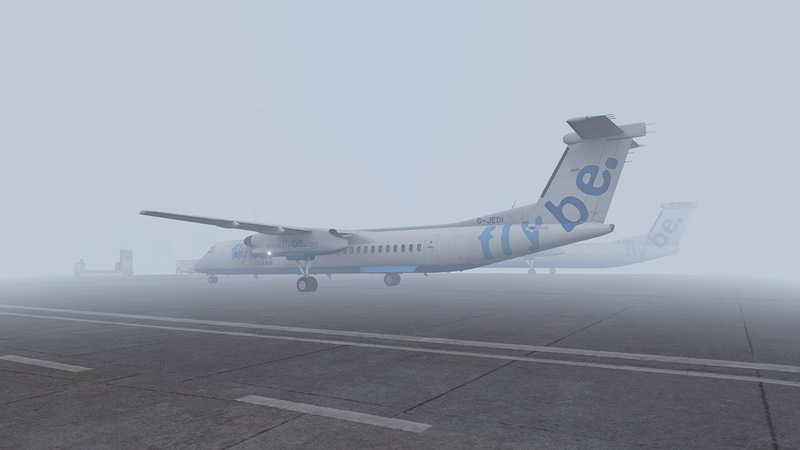 So the question is how real is the weather between the weather conditions now and the simulated xEnviro version. 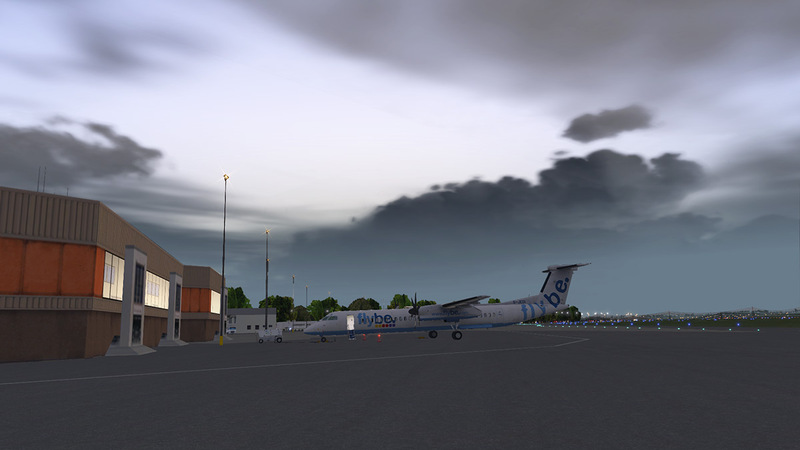 Storms blow over very quickly over here and within 30 minutes it was clearing, and soon my xEnviro changed to match the same conditions. 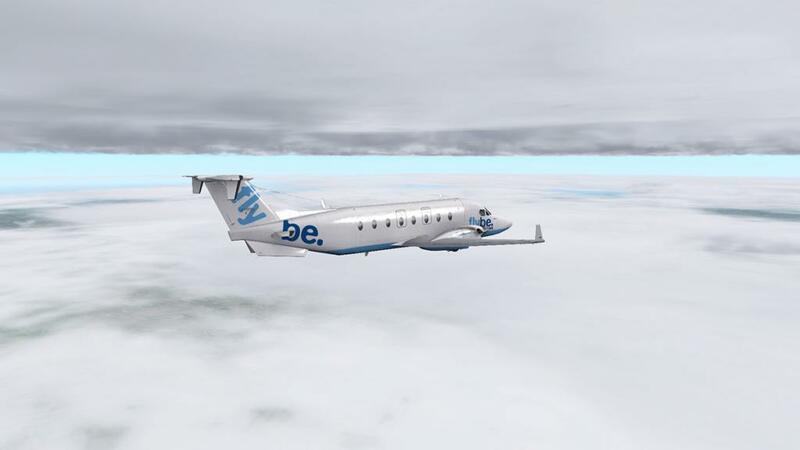 The conditions continued to brighten and the changing data on xEnviro reflected the same changes and the wind direction and speed (24knts) was accurate. There is of course a delay between reality and events in the real world and a simulator, but it was a very good and reflected my changing current conditions very accurately. 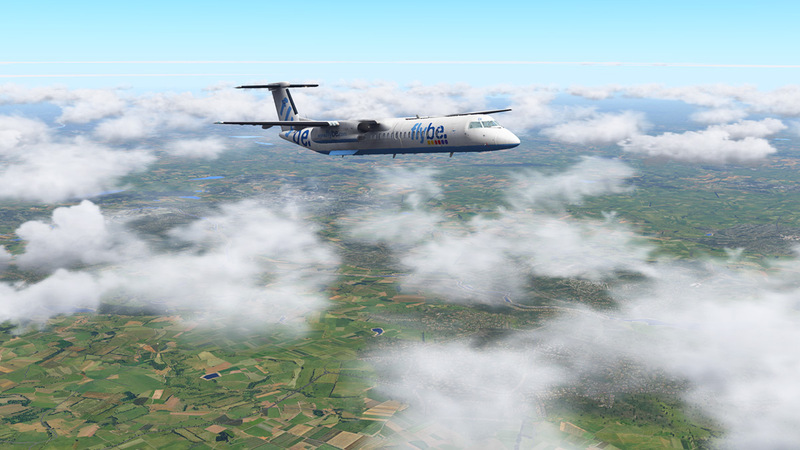 Noted features coming soon to xEnviro are: Crepuscular rays, Variable volumetric clouds and haze, Visible precipitation volume, VATSIM & IVAO networked weather, Historical weather and MacOS compatiblity. 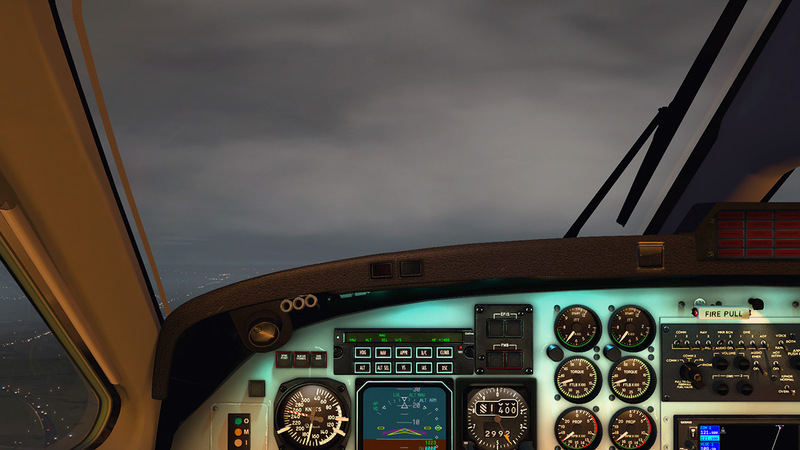 A note in that as you can't set up specific conditions in xEnviro as I couldn't reproduce some of the aspects of this plugin, mainly electrical storms. But over the Christmas break if I encounter and the word here is "encounter!" such conditions then I will add them to this review, I also intend to do a few long flights to see the changing conditions over a period of time and I will report those encounters as well. An Holy Grail in X-Plane has always been totally realistic weather, everyone has had a go in one for or another and your plugin folder is full of ideas and workarounds to try to make the dream a reality. Sundog's Sky-Maxx Pro was the first to really breakout of that ceiling (no pun intended) but this plugin from Commercial Simulation Systems has to be the next generation. 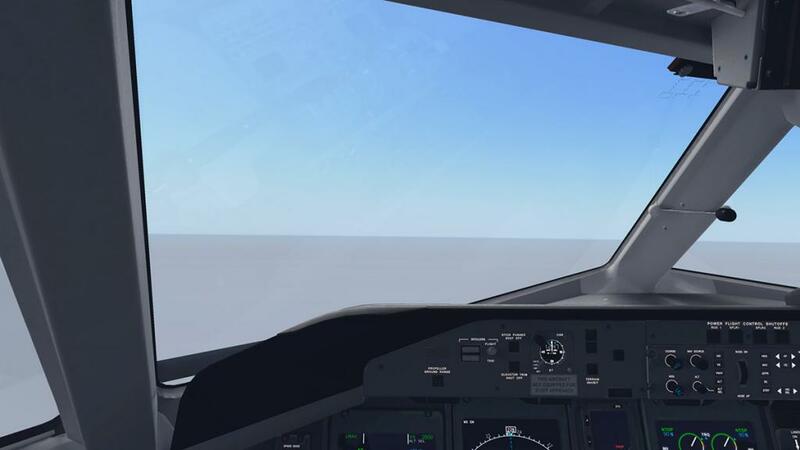 But let us note the negatives at this point and I will stress they are all listed on the "to do" list on Commercial Simulation Systems website and updates are coming fast. My first quibble is the water reflections. They are the most visual aspects that don't work? You get pools of bright blue in any lake, stream, river or dam even with overcast conditions, and over a landscape they stick out like pools of bright blue. 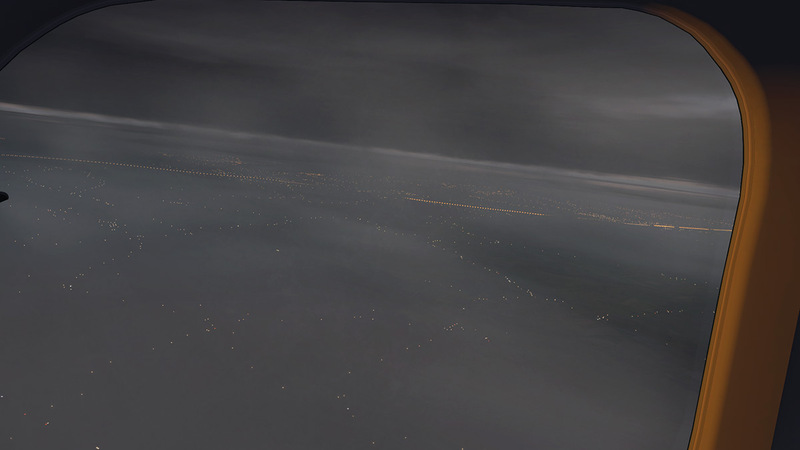 Cloud blend with terrain, horizon line went out on the update and the night environment needs a lot more work. The bright blue sky is an acquired taste, personally I got used to azure sky the more I used the plugin, but a few shades lower in the upper tint would be more realistic. Those non-transparent windows also show up in the wrong moments as well. Not being able to reproduce or save certain weather conditions, is idiosyncratic. You want the same conditions again or at least some control, but there is a strange fascination in the fact that like the real weather you are at it's control and conditions and not just adjusting them to your own needs, and replays are very interesting in a different time period and changed weather conditions... and you are faced with the point of doing it now or lose these conditions. 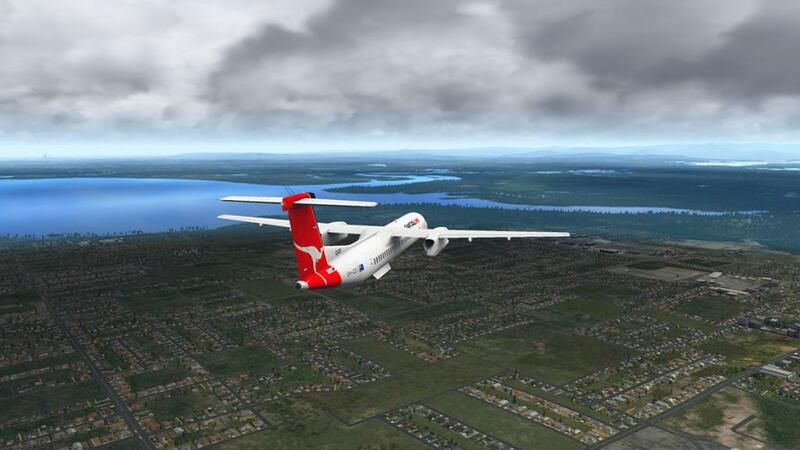 A huge advantage is that the plugin is not intergrated or part of the root files of X-Plane. 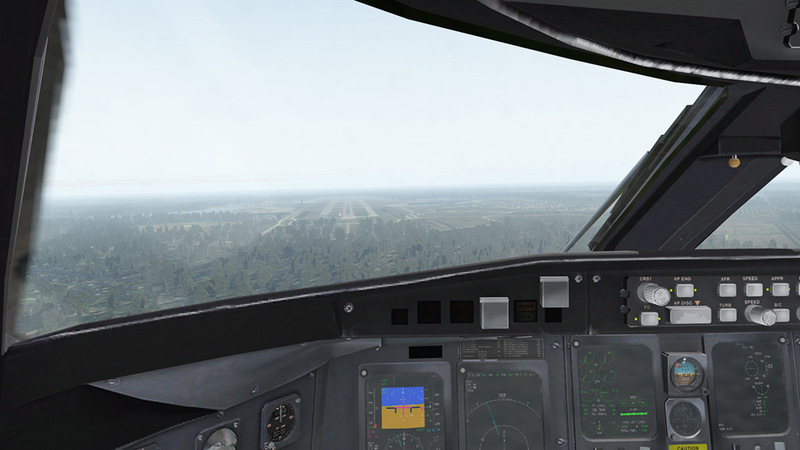 That gives it great framerate control and no pressure on the actual simulator's engine as it is quite separate. 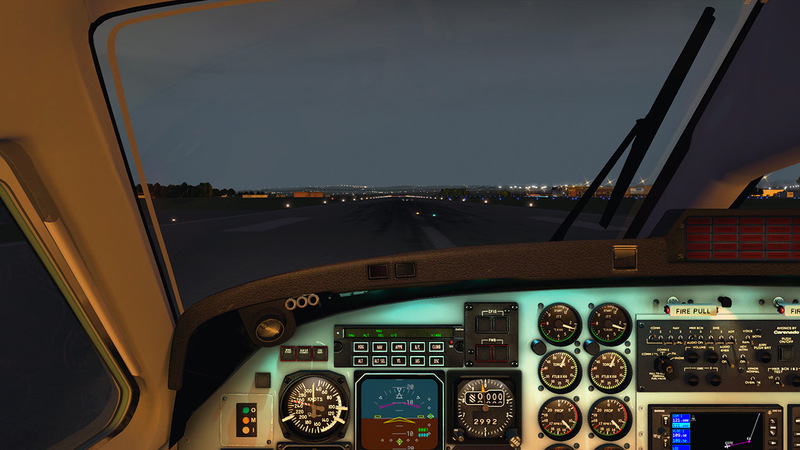 That also means the plugin is an easy switch on or off and that with any X-Plane upgrades is that you won't lose (overwrite) or have to reinstall any root files. I came to the table sceptical, totally unconvinced xEnviro would be the Holy Grail we are seeking, it is not perfect... yet. but it sure does deliver on what you really want and that is real world, perfect weather conditions. 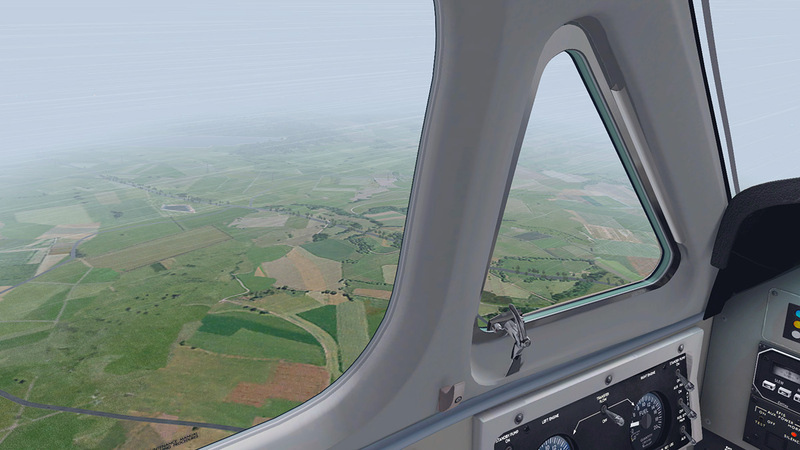 Has the plugin changed my view of X-Plane in a visual sense? 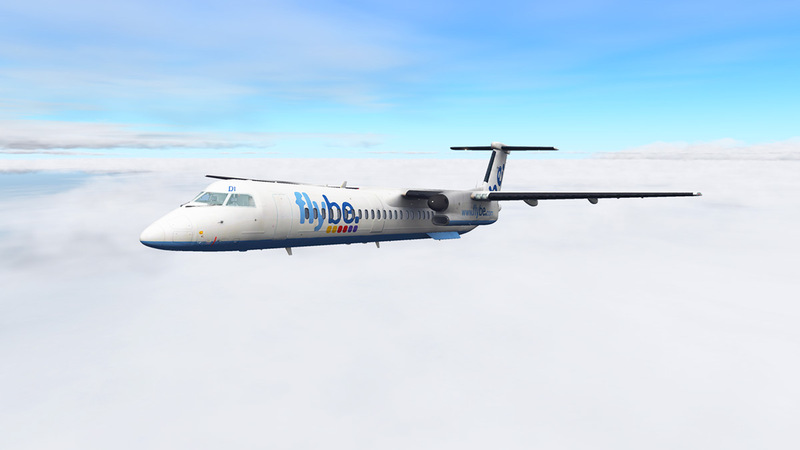 The answer is yes, it is one of those tools that once it is now in there, there is no way (I would kick and scream) anyone will take it away from me, I just don't want to go back to plain old X-Plane, and I won't as it is that good. Sorry this plugin is Windows only at this point, But Mac is coming! 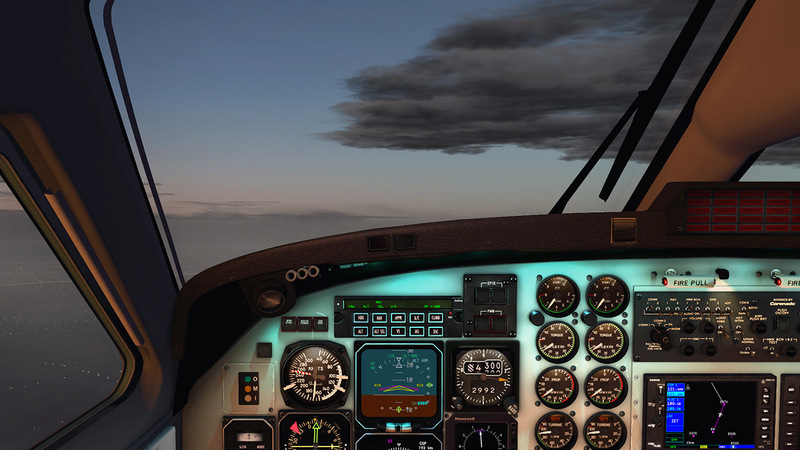 Display saturation, color gamma and cloud density, depending on weather conditions and time of day with real-time changing (automatically) or manually. 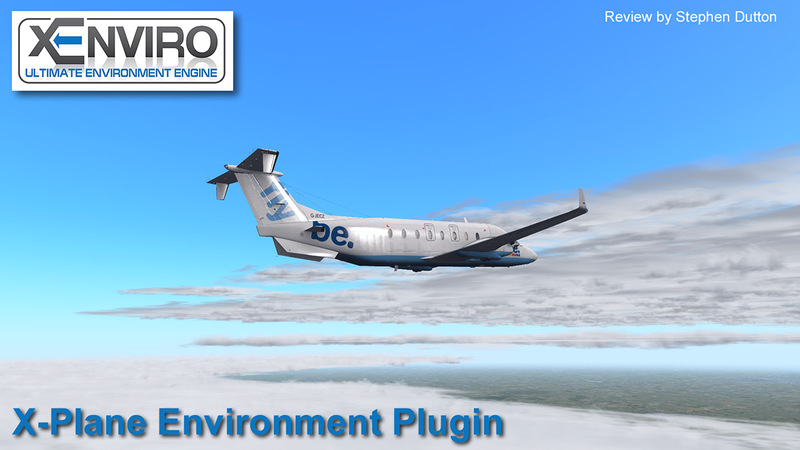 Installation : Download is via an installer provided and you deposit the plugin in your X-Plane "Resources/Plugins/" folder and the final install is 108MB. Full notes on how to use the installer were noted in the review. 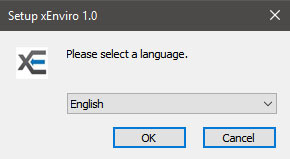 An uninstaller is also provided. xEnviro” software is incompatible with 3rd party software which is used for weather loading, visual effects and other products which can modify environmental or graphical components.